In hopes of providing over 10 million meals through Feed America with the FEED USA + Target Collection, founder Lauren Bush Lauren co-designed over 50 pieces and products with a distinct Americana aesthetic. 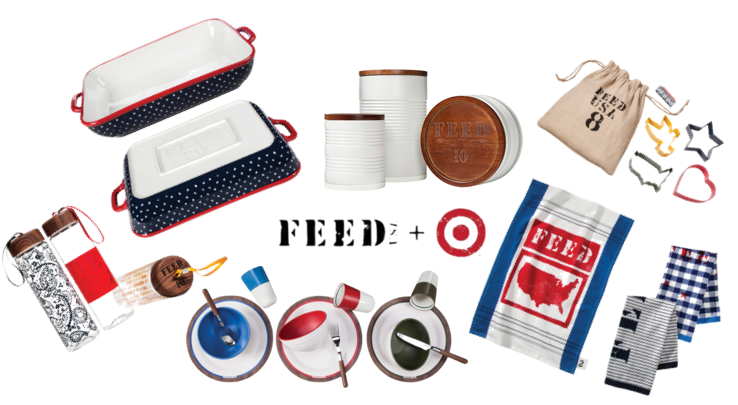 From home and sporting goods, to apparel and accessories the collection aims to please every dynamic while donating x amount of meals to children and families through Feed America with each purchase. Prices start at $3 for housewares and goes all the way up to $400 for a custom FEED foldable bike for 320 meals. The Target collection is available for purchase in stores and on Target.com beginning June 30th, but hurry it’s only for a limited time and I have a feeling a lot of these items will be selling fast! 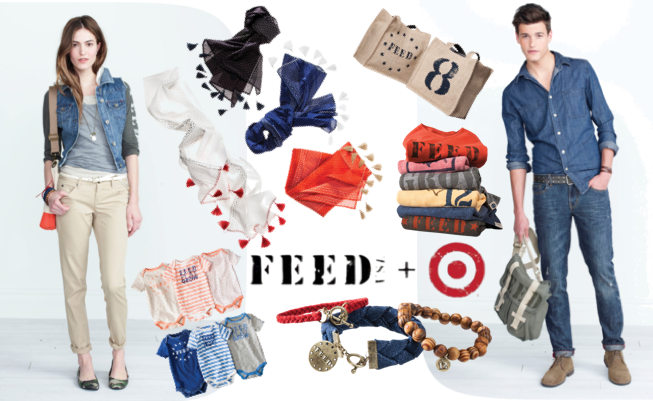 Here are my favorites from the FEED + Target Look Book; what are you loving? Would you shop the collection? This Post is Sponsored By Target + Feed, All Opinions are my own. What a great way to use your blog for the benefit of those less fortunate, I wish more bloggers did this. From the collection I am liking the water bottles and the plates and bowls. That's a great initiative !! i've been looking forward to this coming out! can't wait! This is awesome! I always love the style of designers Target chooses to work with, and the fact that it's going towards such a great cause is great! I really like the Denim Hoodie Vest! Those bracelets are pretty swanky.